Interior design lovers, I’m back today with a highly requested post in our SPACE REFRESH series detailing exactly how I created our built-in-looking Dining Room Bar for less than $900, all in! In the initial reveal of our Dining Room, Bar & Kitchen, I touched on our design choices and the process of how the room came together, but today I’m sharing everything that went into bringing our home bar from concept to completion — including inspiration, planning, sketches and mock ups, alternate shelving options, sources (plus how I hunted down the best deals!) and of course, the finished space. If you’re planning to create a beautiful home bar yourself and are up for a healthy dose of DIY, or you simply want a closer look at where all the COCKTAIL magic happens behind the scenes here at JustineCelina, you’ve come to the right place! Although this project didn’t turn out as I had originally envisioned it due to timeline and budget constraints, we truly couldn’t be happier with it! Throughout this process, I’ve learned that great interior design does absolutely not have to be extravagant to be functional and beautiful. Our goal with this space was to utilize its recessed features to create extra storage for our libations and glassware without losing any square footage in our main living area. We wanted to create an inspiring area to whip up cocktails, serve wine and allow guests to pour themselves a drink without having to come to the kitchen, which can become full easily. Since we love to entertain, creating a relaxed, informal bar area adjacent to the dining room table allows for much better flow in the room — and it also keeps the liquor flowing! Fix yourself a cocktail or pour up a delicious glass of wine and take a seat at our bar to see how this space came together! Happy Monday everyone — and welcome back for the next, highly anticipated reveal in our SPACE REFRESH series! Today, in partnership with HomeSense Canada, I’m elated to unveil the other half of our refreshed main living area — the Dining Room, Bar & Kitchen. While we’ve been refreshing our space since last summer (when we embarked on our huge Paint Transformation! ), most of our time was spent gathering inspiration for the Living Room, as we almost completely started from scratch furniture and decor wise over there. Our Living Room took the better part of 6 months to pull together — and during my many HomeSense runs as it came to life (a lot of you came along via Insta Stories! ), I also had a vision for the adjacent Dining Room, Bar & Kitchen in mind, picking up items for this space as I curated details for our Living Room. So, relatively speaking, this area came together quite quickly in comparison! Our Living Room, Dining Room, Bar & Kitchen are all located in the same space — a large, long and somewhat narrow room. So, we kept the overall look and feel as cohesive as possible to unify the separate areas of the room with an overarching design sensibility. We took design cues for our SPACE REFRESH from our developer who was inspired by earth’s natural elements — our space features natural materials and textures with a warm, mid century modern vibe, a touch of boho and an abundance of greenery! Not only are we thrilled with the aesthetic appeal of our refreshed Dining Room, Bar & Kitchen, this space is also very functional for the way we live in it, which I consider the true mark of great design. Today I’m sharing all my tips, tricks and inspiration for designating different areas within one large room, creating and maximizing apartment storage, as well cost effective ways to refresh your space while repurposing your existing furniture (our only new piece in this space is our sideboard — the rest has been with us for years!). Pull up a seat at our table and settle in for your evening read, friends — can I fix you a cocktail? Welcome back for a fresh DIY post, friends! It’s been quite awhile since I’ve shared a home-based DIY project here at JustineCelina, but that’s about to change this spring! You see, I have expensive taste — especially when it comes to home decor. But I’m also a pretty crafty and love the challenge of figuring out how I can achieve a similar look for less — like the Natural Tree Trunk Side Table I made for a third of the price of its West Elm dupe, for example. Over the years that post has become one of my most popular pieces of content, so I know you love home based DIYs as much as I do — and I couldn’t be more thrilled to bring more of them to you this year! Tonight, I’m sharing all the DIY details that went into the Large Driftwood Macrame Wall Hanging I created for our recently refreshed Living Room! It’s such a surreal experience finally being able to share our Space Refresh | Living Room Reveal with you today, friends! If you just tuned into our brand new SPACE REFRESH series last week and don’t follow along with Instagram Stories, it probably seems like this happened overnight. Let me assure you — nothing is further from the truth! We’ve been planning our Space Refresh series since January 2017 and working on the Living Room since the summer. I truly believe that authentic, functional design takes time — especially in your own home. Once we had a fresh coat of paint up, we decided to start redesigning our living room first — the largest space in our apartment and where we spend the majority of our free time. The process of creating our mid century modern space with a bohemian twist was an organic one, with lots of unexpected twists and turns — but we couldn’t be more thrilled with the results! Today I’m absolutely ecstatic to bring you our Living Room Reveal in partnership with HomeSense Canada — a longtime partner here at JustineCelina and my favourite destination for unique decor and entertaining essentials. A heartfelt thank you to HomeSense for embarking on this journey with me as I transition into more DWELL content this year — I truly couldn’t imagine a more perfect partner to have by my side! Throughout this process I’ve made countless HomeSense runs (my Insta Stories crew knows!) and it’s where I purchased about 90% of our decor. I’m so excited to walk you through every detail of our refreshed Living Room — so please make yourself at home, I have a glass of chilled rosé waiting for you! Welcome back, friends! 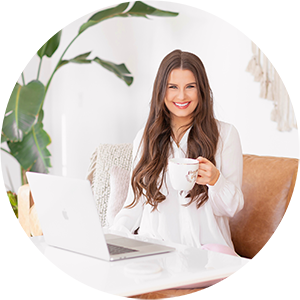 This post officially kicks off our SPACE REFRESH series here at JustineCelina and I’ve never been more excited to publish as post as I am today! If you don’t follow along with my Insta Stories (where I’ve been documenting our Space Refresh BTS for the past 6 months! ), you may only vaguely remember that we embarked on a massive space refresh project in August — starting with a with a fresh coat of paint. Due to some furniture delays as we refreshed our Living Room, we finally completed our huge paint project mid February (yes, really — you’ll have to read the post to find out why!). Today I’ve compiled a mega post detailing every step of our Paint Transformation and how you can DIY a professional quality paint job yourself — including the tools you’ll need, tips about paint selection and finish, what to expect when you’re painting over a dark colour, project cost and time involvement. If you love a good before and after, you’ll love today’s post! But first, let me bring you up to speed about why we decided to start this huge project in the first place! We purchased our home, a 1500 sq ft apartment in inner city Calgary, from the builder back in 2012. At the time it was very modern compared to everything else on the market, but it was love at first sight! However, as the years passed we grew increasingly tired of the builders greige and the itch to refresh our space struck. Ultimately, in 2017 we decided we’d be here for another few years and there was no time like the present to start creating a our dream space. Initially I had planned to have our apartment professionally painted — that is, until the estimates came back! On average, a professional paint job for our entire home rang in at $2300 (and I was shocked!). I knew we could take the project on ourselves and achieve similar results for a fraction of the cost. Interior design, styling and DIY are huge passions of mine and I’m elated to be sharing more DWELL based content here at JustineCelina this year in our freshly painted space — so come on in!